Planning your first trip to Aspen? It’s a place that’s filled with amazing food, incredible sites, and activities that you’ll remember for a lifetime. You’ll have no shortage of things to do and see, and our limo service can help get you to them all. We’ve put together some tips for first-time visitors so they can get the most out of their time here in the Rocky Mountains! We’re not just suggesting this because we run one of the premier limo services in Aspen–we really know the difference it can make in your vacation. Instead of worrying about parking, navigating curvy back-country roads, or managing your vehicle in unpredictable weather conditions, hiring a limo service means you can simply relax while you are transported to your next destination. You’ll have more time to see Aspen and enjoy everything it has to offer. Plus, our knowledgeable drivers can offer suggestions on where to eat or where to see next! There is so much to see and do in the area no matter what season you visit us. Because of this, you might be tempted to schedule every minute of your vacation to ensure you see and do as much as possible. Resist this temptation! Part of the joy of Aspen is the fact that you can take in the beauty of the nature around you, relax, and unwind. While there are certainly some can’t-miss items, be sure you leave some time for a simple wander through the town or a hike along a hidden path. These could be some of your best memories! So come in with a plan, but don’t be afraid to be flexible. The internet is a great source of information for planning a trip, but it can’t beat a good local recommendation. Folks in Aspen are very friendly and they are always happy to share their recommendation for a night out or a hidden adventure spot with visitors. Don’t be afraid to ask people during your morning coffee stop where you should have dinner or if there is something nearby they’d recommend. You can always ask our limo service drivers, too! They know where all the best spots are because they are always taking our clients there in our fleet of vehicles. 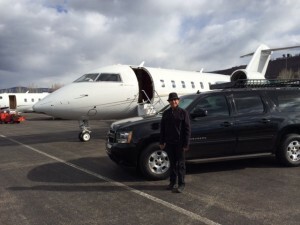 Whether you need a ride from the airport, need to get to your resort, or want a worry-free night out on the town enjoying all of Aspen’s finest hot spots, ZG Limo Service is here to make sure you have the right transportation for your needs. Our vehicles will seat up to seven adults comfortably and still have room for your luggage. Give us a call or contact us through our website today to book one of our vehicles for your Aspen trip! We’ll help ensure that this trip is one that you will treasure forever.